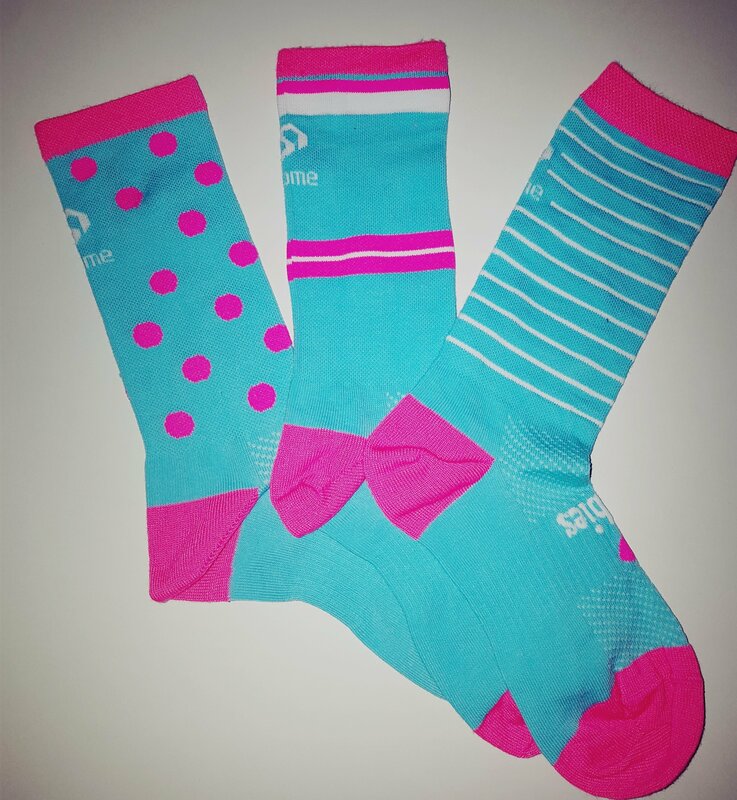 3SOME Pink & Blue Socks - Cycling - Help us raise cancer awareness - shop here today! Are you looking for great kit or the perfect pair of socks to wear on your next bike ride, hike or run – or even to flash a little ankle at the office? Join the ILoveBoobies Movement!